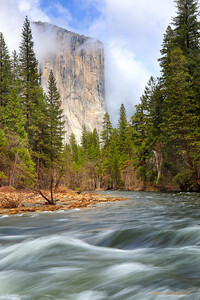 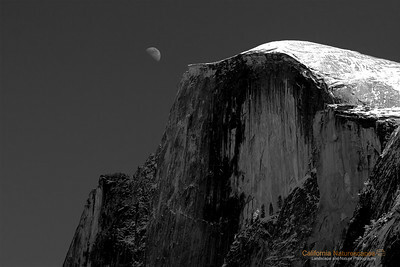 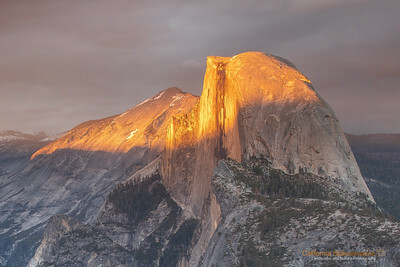 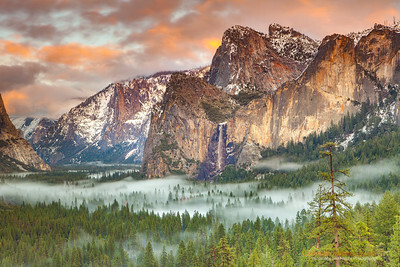 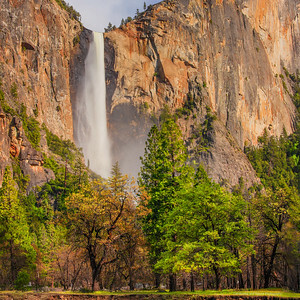 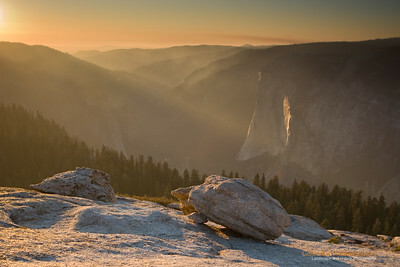 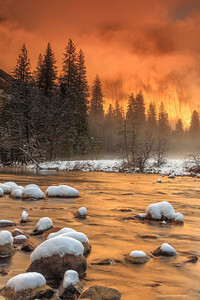 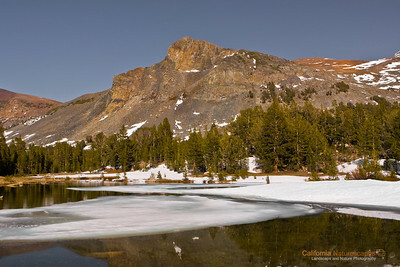 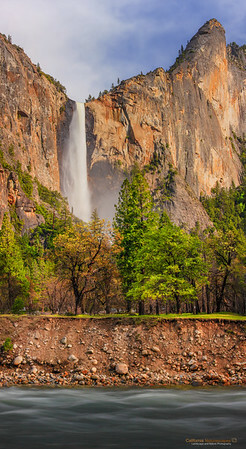 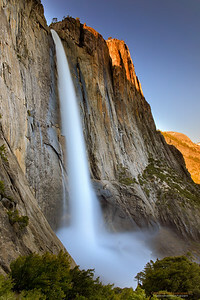 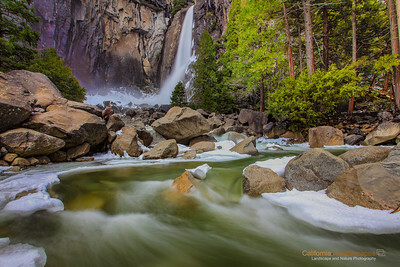 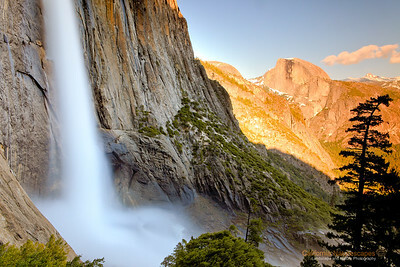 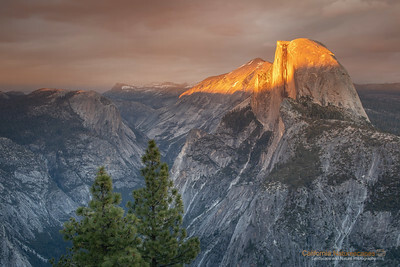 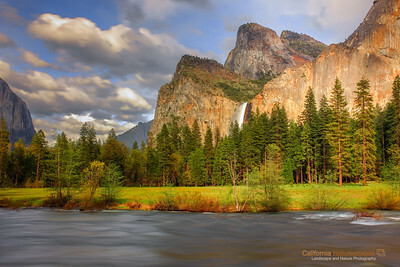 It is often difficult to do justice to the grandeur of Yosemite in an image. 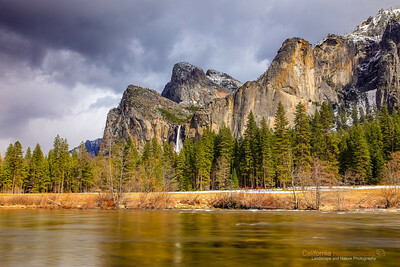 If you have been to Yosemite you will probably recognize this classic view from Tunnel View vista point. 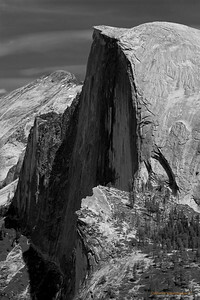 Typically on a clear day most of the valley including El Capitan and Half Dome can be seen from this spot. 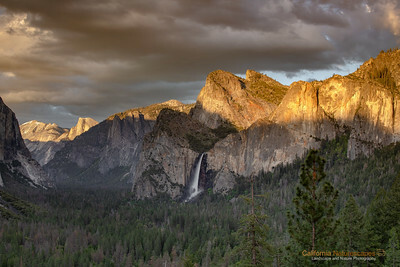 See image in the thumbnail below for a sweeping view of the valley from this location during sunset. 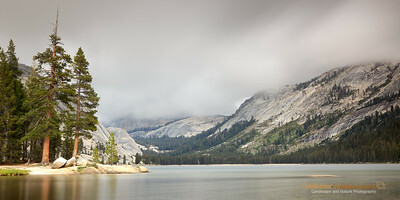 So when I arrived here on this foggy day I was greeted with a view I had never seen before. 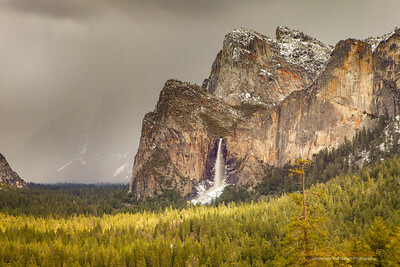 The fog had engulfed most of the valley behind Bridalveil falls. 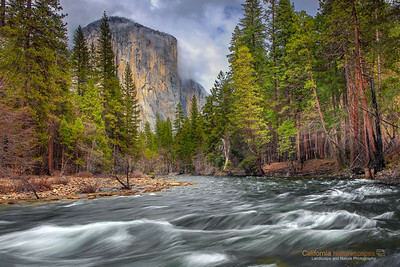 Moreover there were storm clouds behind me with pockets of opening allowing sunlight to pour through on the pine trees. 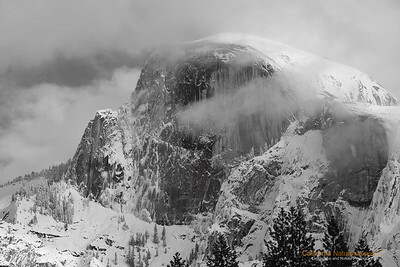 The fog was moving fast but since the valley is several miles deep it gave me just enough time to capture this image and marvel at the grandeur of the valley. 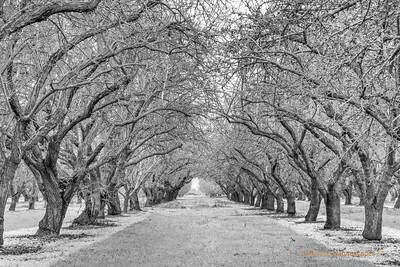 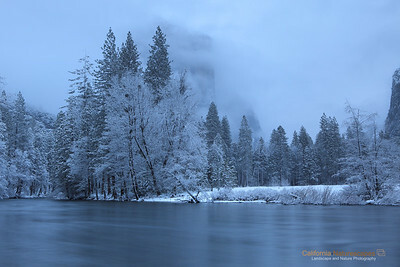 Soon after I shot the image the storm clouds got dense and fog also moved forward hiding everything. 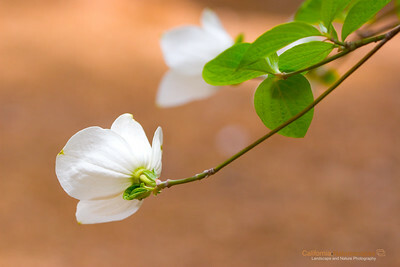 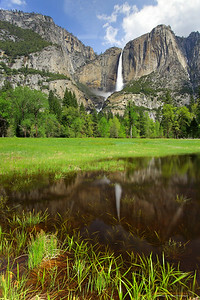 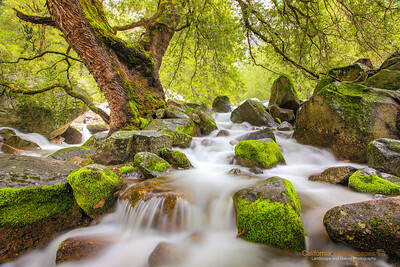 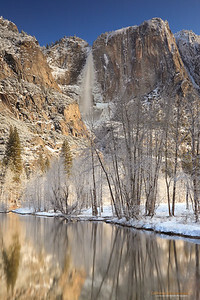 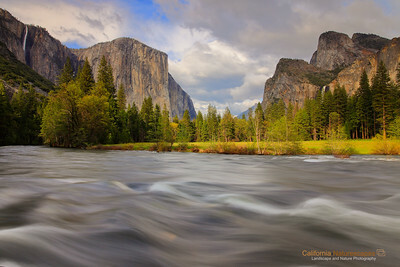 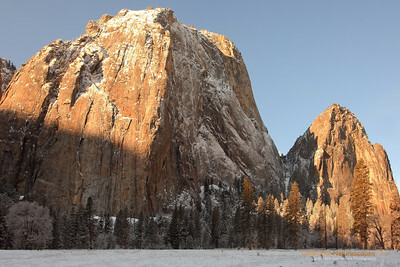 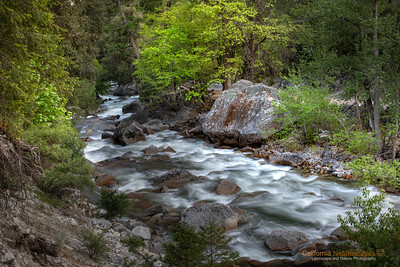 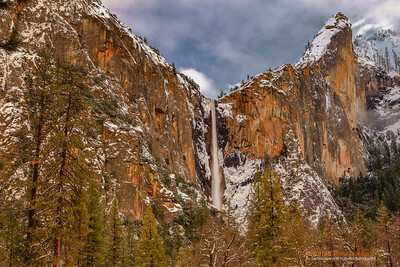 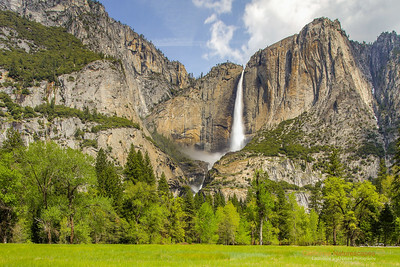 So here is that transient moment of beauty in the Yosemite valley.